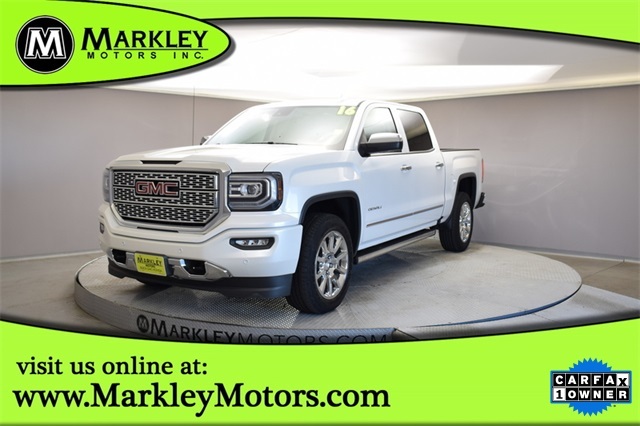 2016 GMC Sierra Denali - *** New Arrival *** 1 Owner, Clean Carfax! Local CO truck that has been extremely well taken care of. 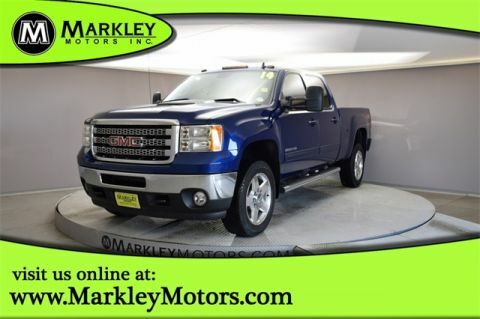 This beautiful crew cab was originally sold then serviced and finally traded back to us here at Markley Motors. 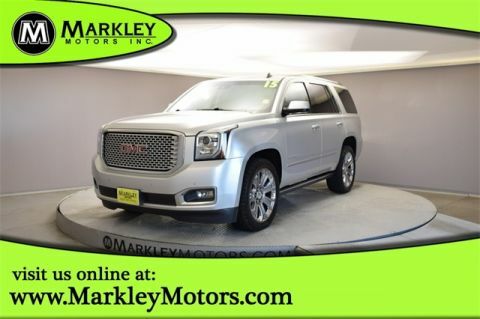 Fully loaded with the bulletproof 6.2 Liter V8 Engine, 4 Wheel Drive, Navigation, Back-Up Camera, Bedliner, Heated and Cooled Front Seats, Heated Steering Wheel, Dual Climate Control, and many more great features that make a Denali a Denali! Come See it TODAY! Step up to luxury and power with our 2016 GMC Sierra 1500 Denali Crew Cab 4X4 proudly presented in White Diamond Tricoat. This 1500 is powered by a 6.2 Liter EcoTec3 V8 delivering 420hp and 460lb-ft of torque while combined with an innovative 8 Speed Automatic transmission for incredible passing or hauling power. With Magnetic Ride Control and a heavy-duty locking rear differential, our Four Wheel Drive truck fills your needs with great hauling and towing capability and scores near 21mpg on the highway. The chiseled physique of our Sierra 1500 Denali looks handsome with its chrome accents, 20-inch ultra bright aluminum wheels, running boards, bedliner, and projector headlamps with LED signature lighting. The Denali interior is practical and comfortable with remote vehicle start, heated and cooled perforated leather seats, a heated steering wheel with audio controls and full power accessories. Check out the Color Touch with IntelliLink, Bose audio with AM/FM/available SiriusXM, HD Radio with USB ports, auxiliary jack, navigation, Bluetooth, and available WiFi. 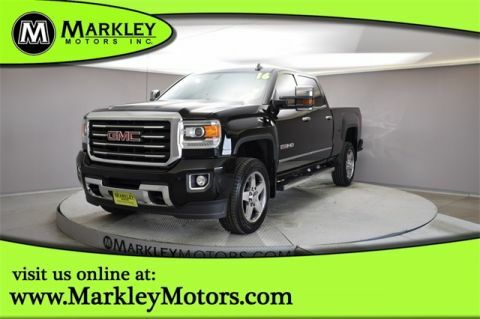 Drive confidently in our GMC with advanced safety features including StabiliTrak with Traction Control, backup camera, Hill Start Assist, and plenty of airbags. Distinguish yourself with this truck that has mastered the art of capability, luxury, and comfort in one refined package! Print this page and call us Now... We Know You Will Enjoy Your Test Drive Towards Ownership! We Value You As A Customer And Look Forward To Showing You What The MARKLEY DIFFERENCE Is All About. We've Been In Business For 82 Years For A Reason! Call Us Now At MARKLEY MOTORS At 1-970-226-2213. USED VEHICLES MAY BE SUBJECT TO UNREPAIRED MANUFACTURER RECALLS. PLEASE CONTACT THE MANUFACTURER OR DEALER FOR THAT LINE MAKE FOR RECALL ASSISTANCE/QUESTIONS OR CHECK THE NATIONAL HIGHWAY TRAFFIC SAFETY ADMINISTRATION WEBSITE FOR CURRENT RECALL INFORMAITON BEFORE PURCHASING.